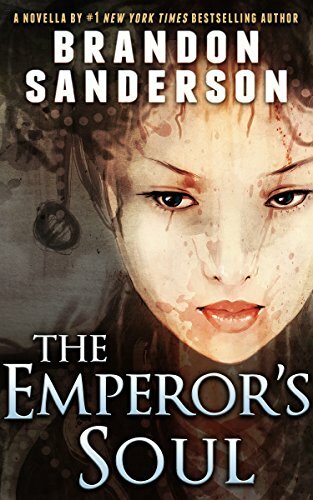 My novella THE EMPEROR’S SOUL came out in trade paperback a few weeks ago, and the ebook version is out today. You can find it at most of the ebook stores, but we’re still waiting to hear from Google Play about this and LEGION. Note: the audiobook has also been released, so enjoy! If you bought the trade paperback already and want the ebook for free, email your paperback receipt, or a picture of yourself holding the book, to [email protected]. We should get it to you within a couple of days. Note: I will number books at this event only. If you want to come to either signing but want to read the book beforehand, consider buying your book at that store ahead of time. In unrelated news, the most recent Writing Excuses podcast episode is another microcasting episode covering a bunch of questions asked by listeners. Regular visitors to the Writing Excuses page will also know about the Out of Excuses writing retreat and workshop that we are offering in Chattanooga next June. You also know that it sold out in nine minutes. Well, one of our longtime listeners is chipping in to help us offer a scholarship to one more attendee, and you can read the details here.